Staying in touch with your customers is the name of the game with Retail Establishments. TXTSmart has many tools to launch marketing campaigns by using mobile text. Use Mobile Keywords or QR Codes to generate interest and then generate follow up messages for deals and promotions. 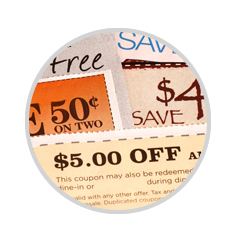 Introduce mobile coupons as an effective tool to drive foot traffic to your location and increate sales. Start a campaign by collecting contacts of people and turning them into loyal customers by sending out announcements so they know when you are offering a new product or discount.